Exhibits 2: How far can you see? Without an initiation point for exhibits planning, the first thing an exhibit firm gets from the client is something like the question children often ask: How far can I see? There are several ways to respond. 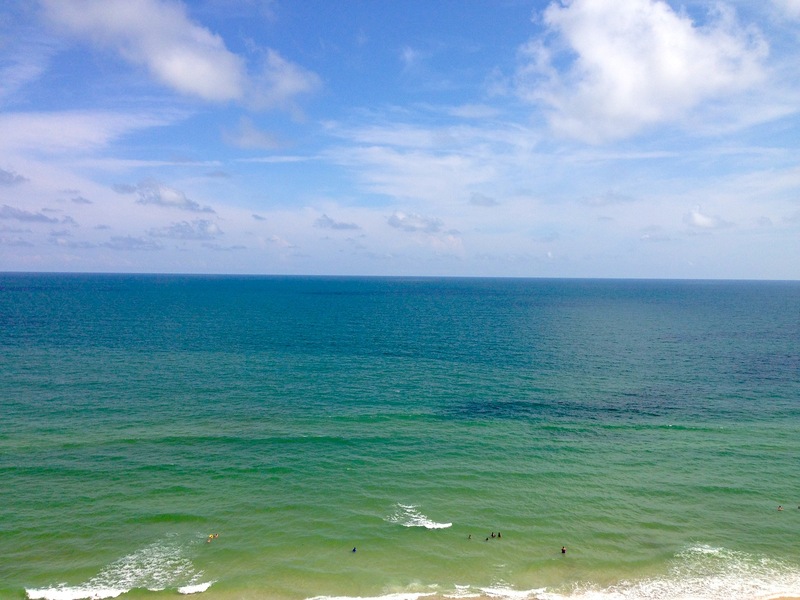 A 6-foot person at sea level looking out to sea can see a horizon 3-miles distant. Climb to the top of a 100-foot tower and that same person can see over 13-miles. However, that same person can see the sun, some 93-million miles off, and the star Antares, 619.7-light years away. How far can you see? It depends upon where you are standing and what you want to see. In exhibit design (and program development) those two questions should be answered before an exhibit firm is on the job. I call this “exhibit pre-planning.” It’s not the exhibit plan, but is the background information that makes an exhibit plan focused and meaningful. By having these questions in order before an exhibit firm arrives you will save days and dollars. Question #1: Where are you standing? Phrased differently, my old favorite asks: Who are we, and what are we doing here? Have some organizational discussions about the organization, what its role is, what the goals are, and why you need exhibits to accomplish that. This is the starting point for ‘seeing’ who you are, and that leads to why you need what you need. These discussions could search out your original charter, mission and purpose documents to provide a foundation for exhibits that are truly meaningful to your organization, not fluff someone thought was cute. And, you might discuss your distinctive competence – what makes you so special, what you do differently that makes you unique, and is it important that the public know this about you. Knowing who you are helps answer the nest question. Question #2: What do we want to see? K: Knowledge, What do you want the visitor to know/learn from these exhibits? E: Emotions, What do you want the visitor to feel as a result of these exhibits? B: Behavior, What do you want the visitor to do as a result of these exhibits? A flaw here is that knowledge is always listed first, and that often leads to exhibits that attempt to teach rather than interpret. Behavioral research tells us that emotions dictate action and create memory much more often than does additional knowledge. In fact, exhibits designed to increase knowledge often turn people off and visitors just glance and walk on by. When visitors they walk away they learn, feel, and do nothing. The exhibit may look nice, but it’s a failure. Therefore, the format should read: E, K, B emphasizing the all-important emotional connection that exhibits and other media should make. Question #3: Do You See What I See? 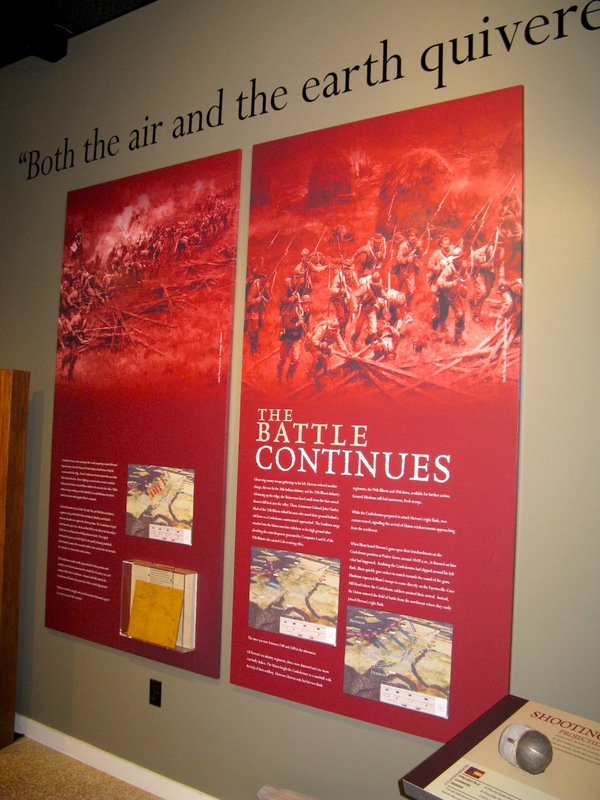 Well-written themes and phrases can become part of your exhibit –on the wall or in the headings where your visitors will see them from a distance and be drawn to the exhibit. A constant problem is getting other people to see the same thing you see. Thus, the third step is to write a strong theme, or two, maybe three (maybe, only if you must), that state your newfound exhibit objectives, well, not objectives lie a bureaucratic statement. Rather, your exhibit MEANING. Theme statements help everyone “see” what you “see.” They help everyone focus on a similar meaning. And don’t hide them. Well-written themes can become part of your exhibit –on the wall or in the headings where your visitors will see them right away. Your message will be there for them, they won’t have to guess your intent. You can now answer the question: How far can I see?, because you know where you are standing and what you want to see. When you can answer these questions prior to bringing in the big exhibit firm, you will be on the road to success. I have had excellent results with this process, and have had more than one exhibit firm state that having this completed before they arrived saved days of planning meetings and allowed them to understand what we wanted almost immediately. Next Next post: Exhibits 3 — What I like. Got a better idea? Tell me.